Is there anything more wholesome than ice cream? I can’t think of anything. It’s a wonderful food. Sure, it’s not health food, but as treats go, it’s the best. I can’t think of anything wrong with it. Except. . .
Of course, there had to be an except. 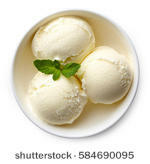 That except is the fact that while there are a wide variety of kinds of ice cream, there is clearly a default – vanilla. If you just order an ice cream with no special descriptors, you will get vanilla ice cream. Not chocolate or strawberry or pistachio, you get vanilla, the white one. That can’t be a coincidence. It’s consistent with lots of other issues in our society, like the issue of representation. Our default characters in fiction are white. Our default newscasters are white. Our default politicians are white. And our default ice cream is white. That’s not to say that there aren’t other colors out there. It just means that those other colors need a special descriptor or everyone will assume they are white. How did this happen? It’s not like vanilla is the best flavor of ice cream. There are better brown ice creams and better green ice creams, for example. The answer must be racism. As a society, we value whiteness over every other color. We see it with models, we see it with chicken, and we see it with ice cream. What can we do to combat this? The answer can’t be avoiding ice cream all together. That’s just crazy. The answer is to be specific when choosing our ice cream. Don’t just say, “I want ice cream.” Instead say, “I want black raspberry ice cream.” Don’t settle for what they give you, the default. Demand what you really want.